We were approached by Commodity Exchange to produce a message that would build buzz for their new condom brand, YOLO, as well as remind people to Be Safe over the holidays. Over the Christmas period, Namibians flock to the coast, passing anthills along the way which are undeniably phallic in shape. We decided to manufacture large condom-billboards, and use the anthills as an ‘outdoor media space’ - quite possibly the first time this has been done. 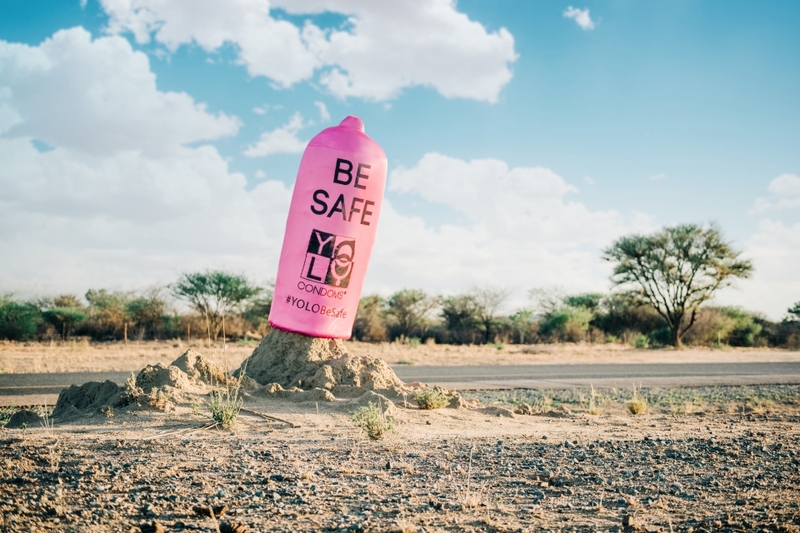 The condoms were set up under cover of night before the holiday weekend began and featured a ‘BE SAFE’ message, as well as a #YOLOBeSafe hashtag to push brand-awareness for YOLO.